I do have deep respect for people doing Yoga, something that is on my bucket list but that I have not accomplished yet (although some Portland based work colleagues try to talk me into it). But that what I saw on Washington’s Lake Crescent the other day is definitely something out of the realm of my possibilities. 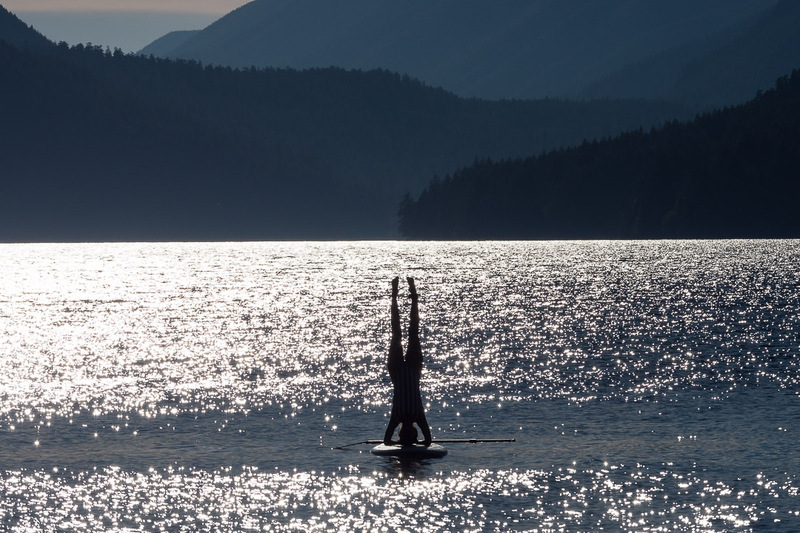 A girl doing a headstand on a stand-up paddle board. On a lake. Like with moving water. Totally insane. Shot with my Olympus PEN-F and the mZuiko 40-150mm F/2.8. Image specs 1/2500 sec @ f/9 and ISO 200, 150mm focal length. Street Photography shot on a lakeshore.